Smartphones have become part of people’s lives. Most people do utmost care of their smartphones than for their safety, especially if you are having expensive smartphones, you have to do great care of it. Some people value their data more than the smartphone. People also have insurance for their smartphones especially if they own expensive ones. 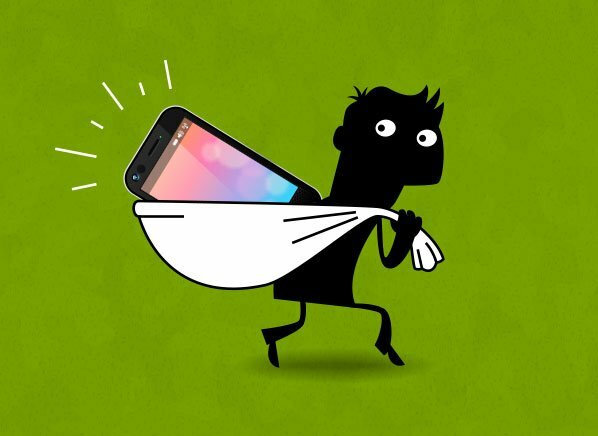 It is a nightmare to see if we lost our smartphone. 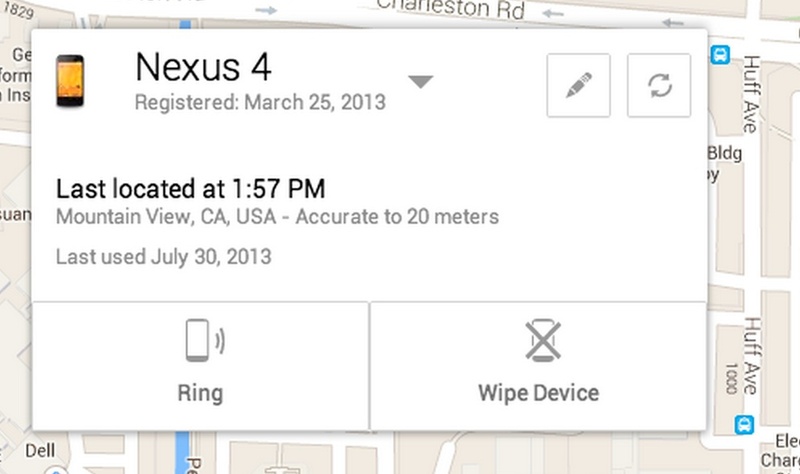 So in that case, you can easily track your lost smartphone easily with some mobile applications. These apps will help you in tracking the location of your smartphone and can also lock as well as reset your lost smartphone. 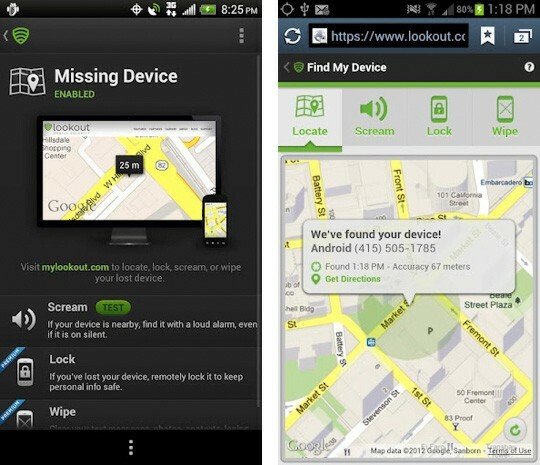 This app consists a number of features which will assist you in tracking your lost Android Smartphone. This app has notable features like, “Ring” that will ring your smartphone even if it is on silent mode. To ring your lost smartphone, you have to send a text which will be your ring recognition word on your lost device from any other device. 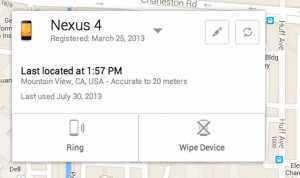 Another great feature of this application is that it can locate the geographic location of your lost smartphone by tracking GPS coordinates which have link to Google Maps. In case your lost mobile is switched off, its battery may have drained, or its number has been changed, it also has specially built in GPS flare feature which will send an alert message carrying the last location of your smartphone. 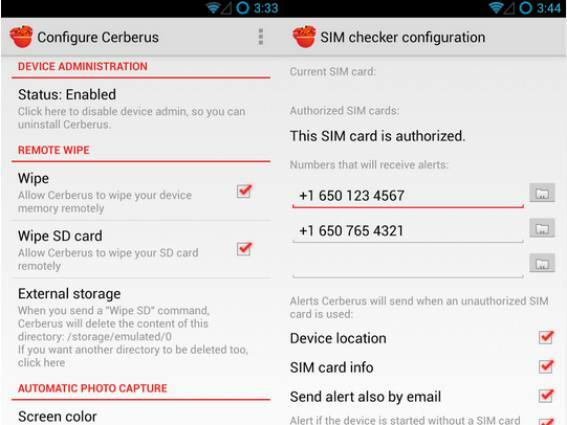 Next App that would help you in tracking your lost device is “Cerburus”. It mainly has three methods that will assist you in protecting your smartphone. It offers remote control via their website. Remote Control through SMS from another device. Besides its above major features, it also offers some more features like, to locate the lost device via the app’s built-in GPS and find its location. It can also lock the device with security code and activate the noisy sound (It will also work if your device is in Silent mode), screenshots, recording videos, capture images, recognize the robber, tracking location information, checking the last location of the device. 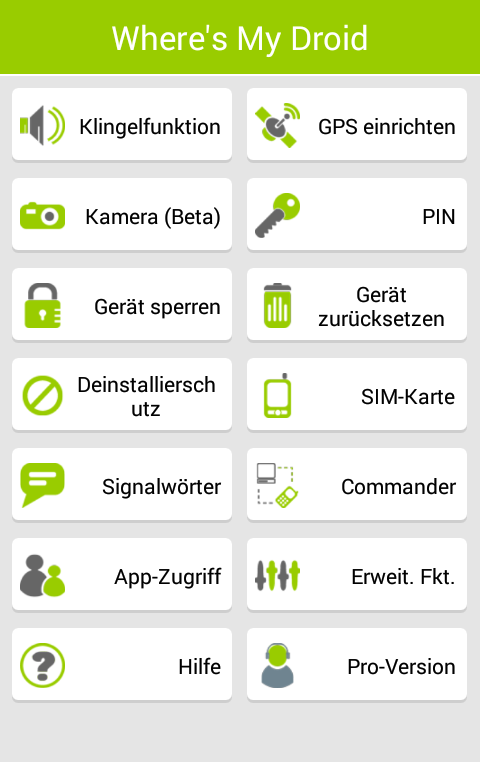 In case the robber is using your device, he cannot notice about this application because you can easily hide this using “App Drawer”. Besides this feature, you can also record voice from the sound recorder, record of recent outgoing and received calls, get details on a mobile network and WiFi, to which the device is connected and the close WiFi networks. However, this app is free for one week and after that you have to pay money to continue to use it. If you paid for this app, you could use this app in three devices continuously. 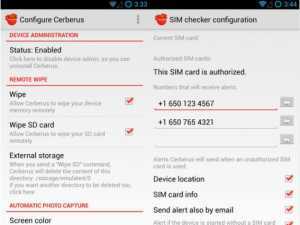 This app can remotely control your stolen device from their website or through SMS. 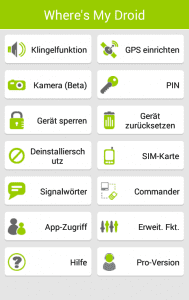 With this app, you can erase your memory card, locate your device by GPS. If your device is connected to the Internet, GPS automatically turns on in the application’s settings, raises an alarm, sends SMS via Web Page, read the messages sent and received, IMEI number, check battery status and much more. It is the official application provided by Android. It is available on Play Store for downloading. With it, you can track your device, remove data and secures your device by locking it. To use this feature, your device must be connected to the internet and Google account. So, we will end up this post with Find My iPhone. 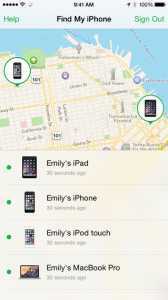 Find My iPhone is pre-installed in iOS devices. It allows you track the device to locate its present location. With this feature, your device can also trigger a sound, making it easy for you to find it, in case you lost it within home or at any other place. You can also erase the entire data with this app. In order to activate this feature in iPhone, go to Settings –> iCloud –> Find My iPhone. You need to first activate this service to use it. So, this is all about the applications that can help you in tracking your lost smartphone and will also assist you in deleting your data remotely. We hope that you liked this article, feel free to share this with your friends.